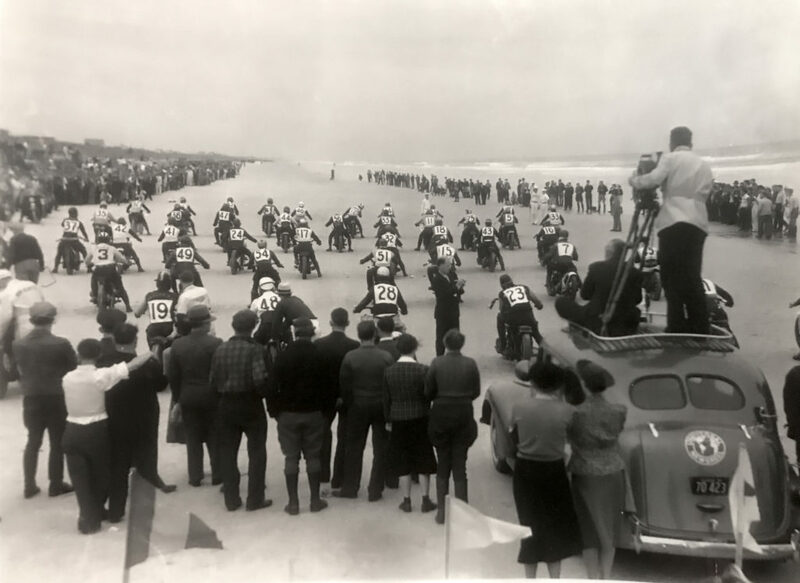 Daytona/Ormond Beach had been used for speed trials since the dawn of motorcycle competition in the USA, in 1902. 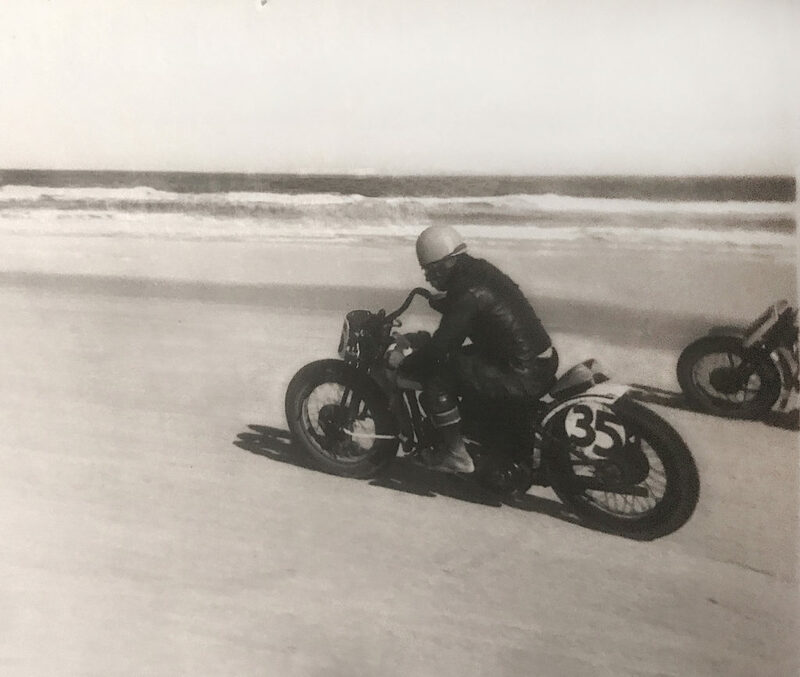 The earliest speed records for cars and motorcycles were taken on the Ormond Beach end of this very long strand, probably because the Ormond Beach Hotel was the only hotel in the area, as difficult as that is to imagine if you’ve been to Daytona today. At the turn of the Century these beaches had yet to be developed, but were one of the few places in the country where flat-out speed could be explored without harassment by local authorities. Land Speed Record attempts continued through 1935, when Donald Campbell and his Bluebird racer shot between the pilings of Daytona Pier at over 300mph! 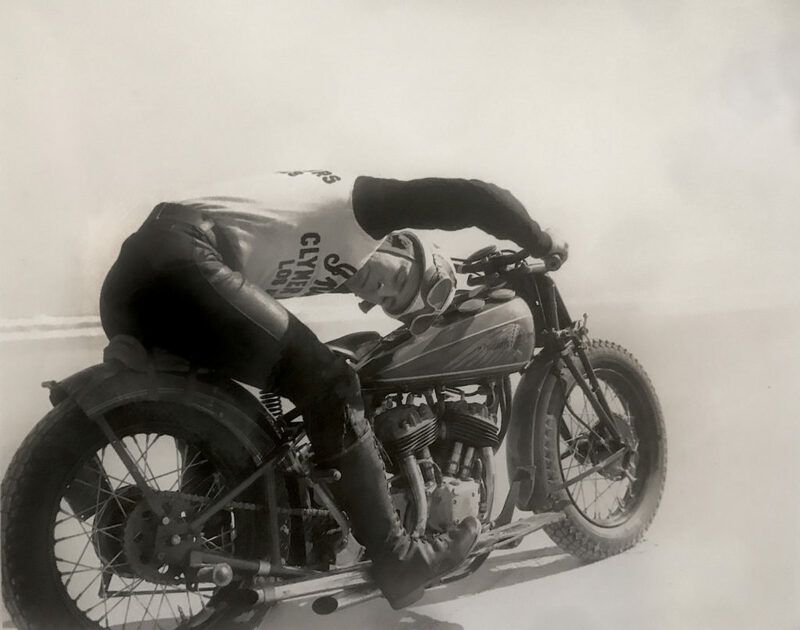 Everyone involved knew the speed jig was up, and the whole speed circus decamped to Bonneville for their annual fun, once a minimum of facilities were established in that former desert wasteland. 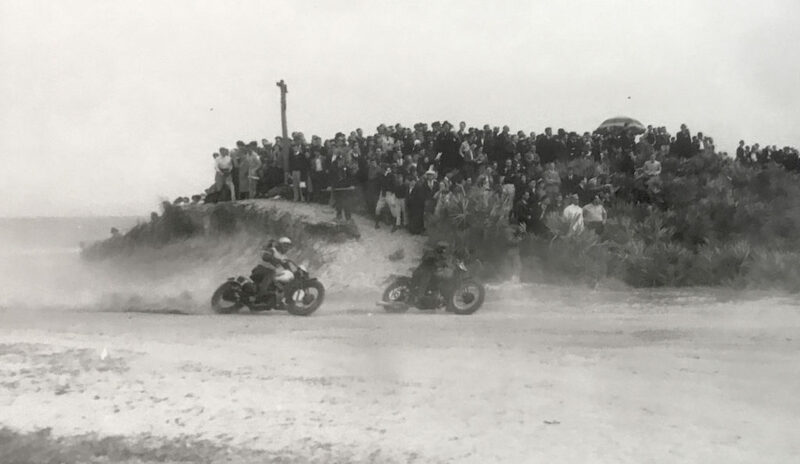 The Southeastern Motorcycle Dealers Association (SMDA) had been hosting AMA Class C 200-mile dirt track races in Savannah, Georgia, since 1932, on the old Vanderbilt Cup racing course. 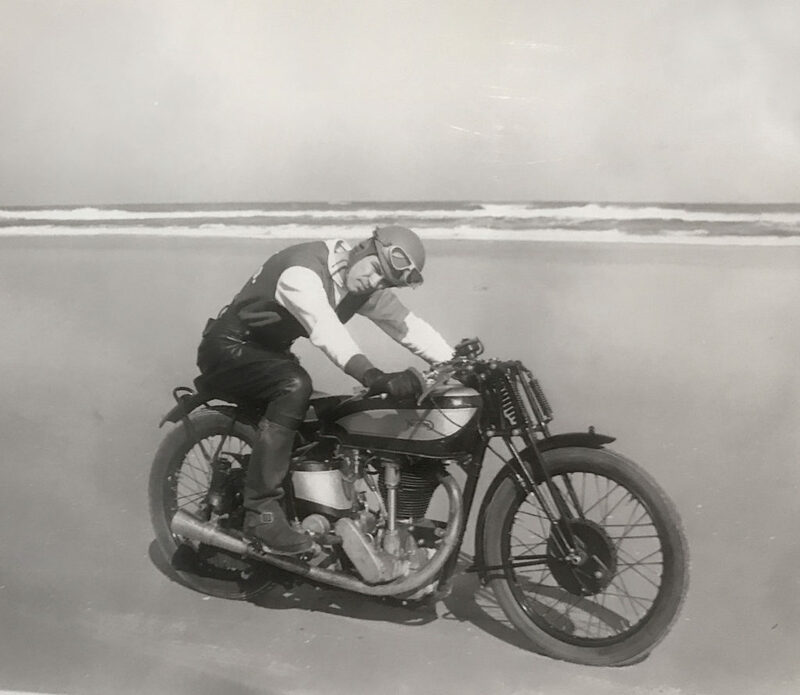 By 1936 the Daytona Beach chamber of commerce was desperately looking for a motorsports attraction to replace the annual speed trials, and the City of Daytona worked with the SMDA to bring the Savannah 200 to its shores in 1937. The track was a mix of road and beach straightaways, with wide hairpin bends at either end, with a hairy transition from sand to pavement on the 3.2-Mile course. There was also the small matter of the tide to contend with, and early races were ill-planned in this regard, with riders often getting wet at the end of the long race, as the sea encroached on the track. 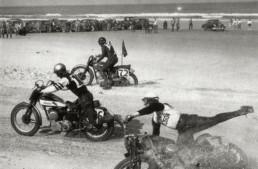 The beach race continued until 1961, when the banked oval Daytona Speedway was completed, and the sand was finally abandoned for good. 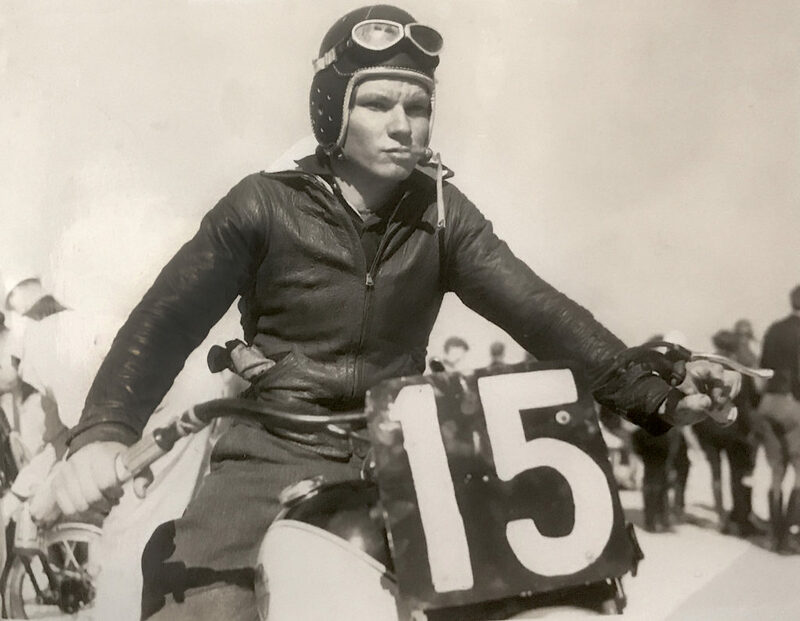 The 1937 beach race was the first Daytona 200, and Ed Kretz (of Monterey Park, CA) won on an Indian Scout racer. Kretz was on a streak, having won the last Savannah 200 the previous year, and also the inaugural Loudon Classic race. He was legendary for his endurance and physical strength, and gained the nickname ‘Iron Man’ for sheer endurance in long-distance racing. 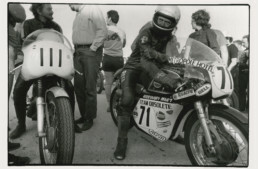 He was sponsored in that first Daytona 200 by Floyd Clymer, an Indian dealer who later became a publisher, and owner of the Indian name in the 1960s. 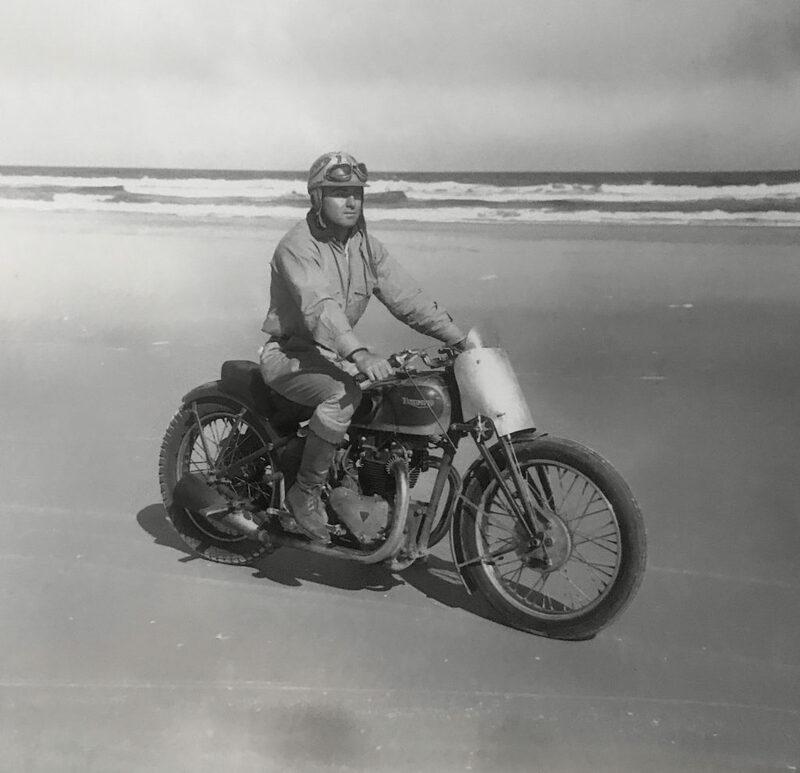 In the 1938 Daytona 200, Ben Campanale won on a Harley-Davidson WR, and for the next 17 years of racing on the beach (barring 1942-46, when racing was cancelled due to the war), race wins alternated between H-D, Indian, Norton, and BSA. 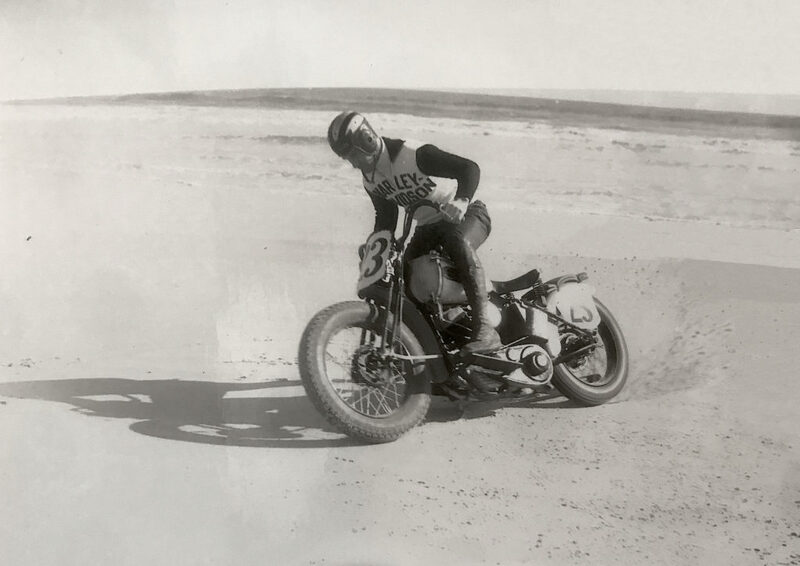 While Triumph, BMW, and Rudge also competed, they didn’t take top spots on the sand, but did make a spectacular presence, as seen in these photos, some not published since before WW2. This photo collection was generously loaned by artist Jeff Decker, whose collection of motorcycle ephemera is legendary, and includes perhaps the largest assembly of 1%er outlaw motorcycle club ‘cuts’ (cutoff vests with embroidered club colors) in the world. Jeff brought a significant stash of interesting historic art and automobilia to the Las Vegas auctions this year, where he traditionally keeps a booth to display his sculptures. Many thanks to him for allowing us to publish these rare photos on The Vintagent! 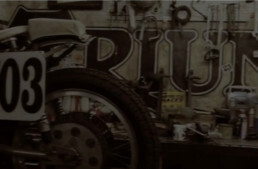 The Triumph and the Norton Gardengate haven’t any air filter…like many moto-cross bikes in the 50. I remarked the same trouble on my friend’s Matchless “Desert” from the 60, you said primitive ? ?